Stewart’s Stellar Strings: Taking your child from Twinkle, Twinkle Little Star to Mendelssohn Violin Concerto and beyond. Catherine Stewart, Director, Suzuki violin teacher, with over 40 years of experience as teacher and performer. My goal is to teach children to learn how to study, to achieve personal discipline and to learn how to solve complex problems one small step at a time in a nurturing, positive environment, while learning to play the violin or viola. Stewart’s Stellar Strings provides violin and viola students a greater depth of musical experience through private lessons. Our students are interested in reaching higher levels of musicianship through practice and commitment to study. Private lessons throughout the school year. Weekly lessons include instruction in the Suzuki method as well as traditional violin studies such as scales, etudes and advanced repertoire. Lessons are taught with small, success oriented steps, in a nurturing, positive environment. At the beginning, there is an emphasis on posture and music is learned by listening and rote. As students advance, they learn to read (usually within the first months of study) and cover the same material as "traditional" violin students. Much of the music learned is memorized. Many other methods, such as The Sassmanshaus Tradition, and O’Connor Method are utilized, as well as many genres of music such as American fiddle, and improvisation, are explored. Summer lessons are available, and recommended. Separate fee applies. About the students: Many of Stewart’s Stellar Strings’ students currently participate in the Harford County Youth Orchestra, and have participated in Maryland Classic Youth Orchestras, Young Artists of America, Potomac Valley Youth Orchestras, St. Cecilia Orchestras, other regional Youth Orchestras as well as County Honors Orchestra, Maryland All County and All State Orchestras and their school orchestra programs. 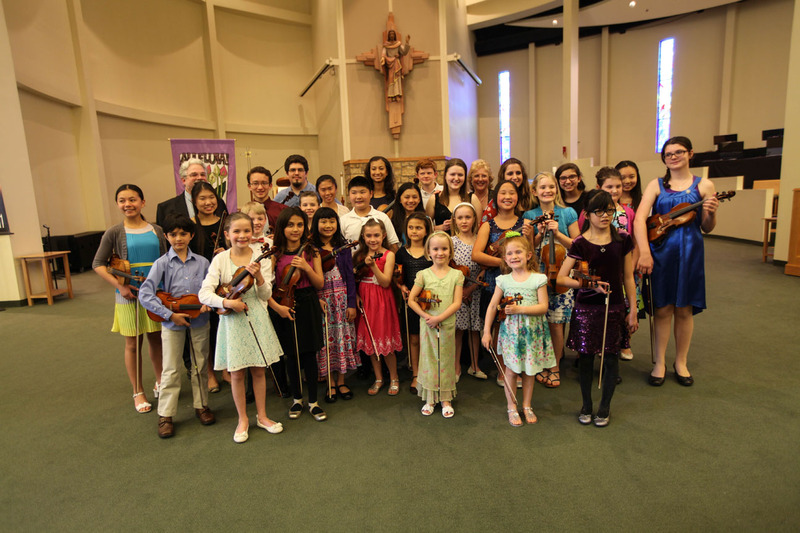 Students have been Concertmaster at National Philharmonic Camp, Interlochen Summer Camp, Maryland Classic Youth Orchestra, performed for Master Classes for Brian Lewis, Ann Akiko Meyers, and Chee Yun, among others. Students have received scholarships to Eastern Music Festival, Interlochen, National Philharmonic camps, and Maryland Classic Youth Orchestra. Students have gone on to major in music at Eastman Music School,Cincinnati Conservatory, University of Maryland, San Francisco Conservatory, Peabody Conservatory, Indiana University, and Florida State University. Students have gone on to elite institutions such as Harvard, Princeton, Duke, Vassar, Amherst, University of Rochester and MIT... often on scholarship.